It’s unpleasant to think about our own mortality, but it’s important for all of us to consider what would happen if we were to pass away or become incapacitated. Stop and think about it for a moment: what would happen to your assets if you were to pass away? What would happen to your loved ones? 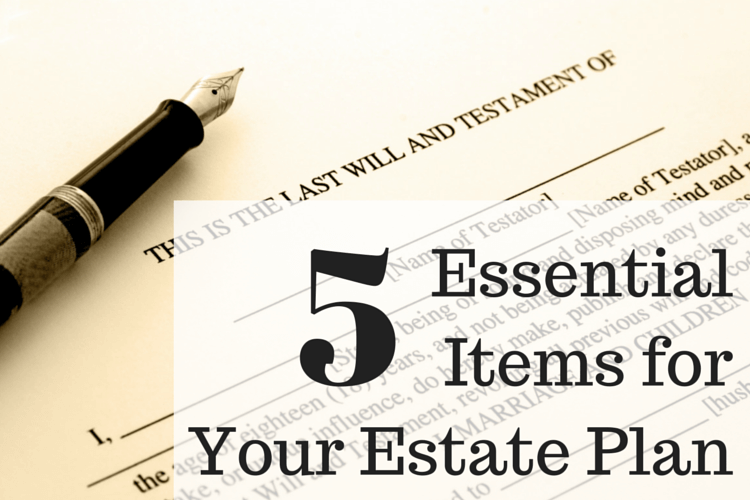 A will is a document that dictates how to distribute your possessions when you die. If you have minor children, a will also dictates how they will be cared for. You’ll want to determine their legal guardian (the person they’d live with upon their death), and possibly a financial guardian (the person who oversees the distribution of your assets to your kids until they reach legal age or a designated date). These two guardians can be the same person, but they don’t have to be. Wills are easy to create, but they do go through the probate process. This is a legal process that validates a person’s will after their death, inventories a person’s property, pays any debts or taxes, and then distributes the remaining proceeds. This process can be time-consuming, expensive, and it’s a matter of public record. Many people will benefit from establishing a trust. It’s more expensive to set up initially, but trusts have additional benefits. First, trusts can be established to take care of you upon your disability, not just your death. Second, trusts usually avoid probate. This expedites the transfer process, and it can reduce the cost as well. Third, trusts can offer tax benefits and protection from creditors. Many special situations benefit from the creation of a trust. If you decide you’d like to establish a trust, you still need a will. A trust will never contain everything you own, and it does not dictate the care of minor children. Don’t let the care of your children be dictated by a court decision. You might not like the result. A power of attorney is a written authorization that lets another adult make legal and financial decisions for you if you were to become incapacitated. Some powers of attorney documents only last for a short amount of time, i.e. while someone is overseas but has affairs at home. By creating a durable power of attorney, the agreement will last after you are incapacitated — exactly when you need it the most. Since this person will manage your finances, you’ll want someone who you trust that is also good at managing money. Also, make sure to name a backup. Many people name a spouse, but you’ll want a secondary name in case both you and your spouse are incapacitated at the same time. A medical power of attorney gives someone the authority to make medical decisions on your behalf if you are unable to do so yourself. Depending on where you live, the person may be called a health-care proxy or some other similar name. A medical power of attorney is obligated to make your treatment decisions according to your wishes, as well as he or she is able to. To make your wishes clear, provide your instructions with a “health care directive” or “living will” as discussed below. This person may be called to make life or death decisions, so choose your agent wisely. A living will is a document describing the medical treatment you want to receive if you are unable to communicate your own preferences. Sometimes, a medical power of attorney and a living will are combined in one document called an advanced health-care directive. A living will includes your wishes on things such as heart or breathing resuscitation, mechanical ventilation, feeding tubes, dialysis, and organ donation. Remember the terrible tragedy of Terri Schiavo, whose family fought over her medical care after she went into a vegetative state? The conflict might have been avoided by having a living will and a medical power of attorney. Beneficiary designation forms on life insurance policies, retirement accounts, and other assets may override any conflicting provisions written in a will or trust. Make sure that all your beneficiary designations are accurate so that your assets will be transferred to the right person. It’s best to check the forms on an annual basis, but it’s even more important to make changes after a divorce, marriage, birth, or death in the family. Take the story of a wealthy telemarketing executive who died suddenly last year as a warning. His will left all his assets to his children, but then listed his wife as the beneficiary in his 401(k). Since the vast majority of his assets were in his 401(k), his children will get very little inheritance. There’s no time like the present to make sure that your estate plan is in place. No one likes to think about our own mortality or disability. That’s why so many families are caught off guard when disaster does strike. Get your estate plan together today as a gift for your family. If the worst were to happen, your family will be grateful you took the time to put your estate plan in place.